Abbeville Village is a small predominantly residential area to the south-west of Clapham Common, South London. It forms part of the much larger Clapham Park area, and benefits from its own shopping street, Abbeville Road, home to an array of shops, restaurants and cafes. 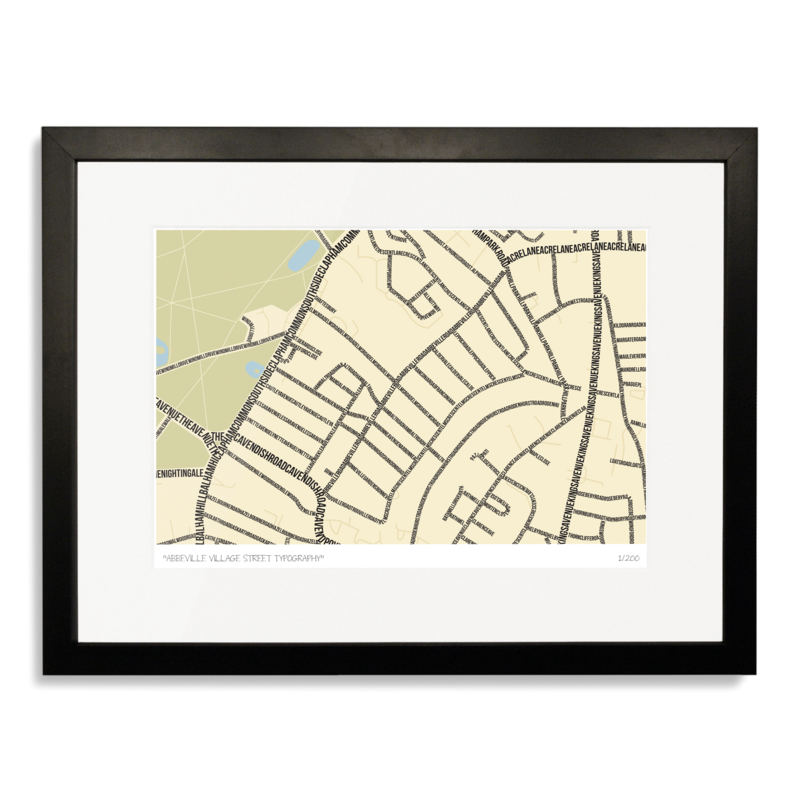 This limited edition numbered art print depicts the streets around Abbeville Road in Clapham, London. 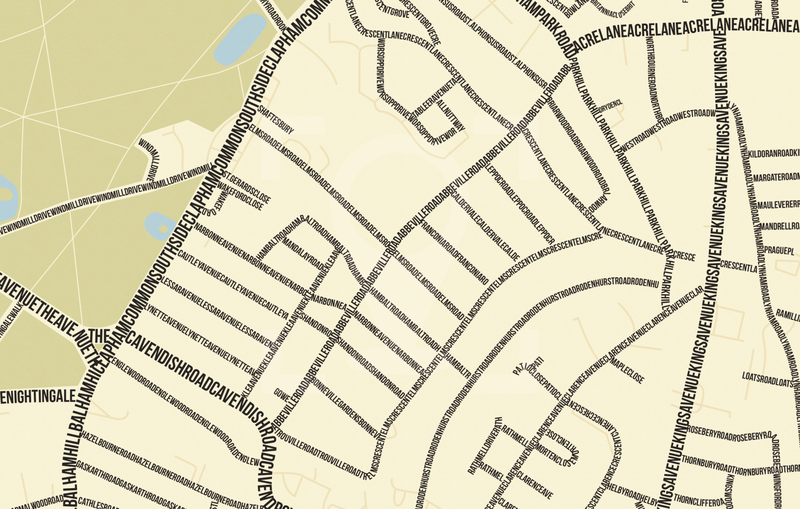 Each road is represented through the repetition of its name along the geographical route of the street. Green spaces are also shown in a darker background colour. The print uses simple, natural colours to create a striking impression.